Download Driving Directions to all our stores. Click here to email us! 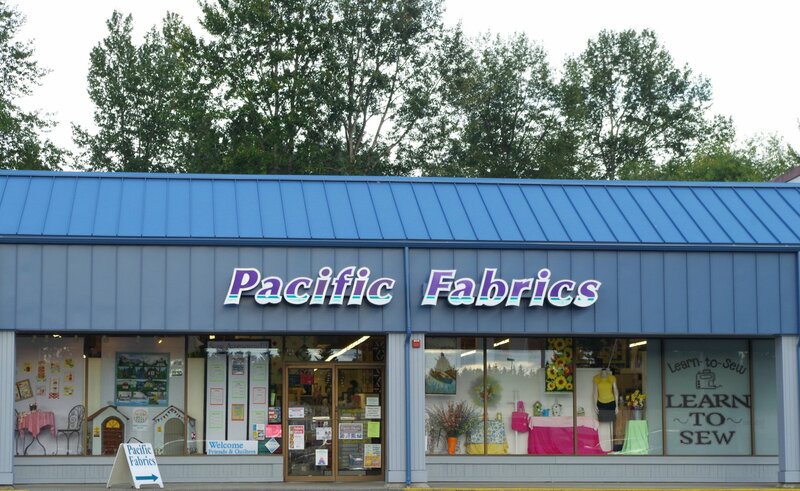 Sometimes known as Kitsap County's best kept secret, our Bremerton store specializes in quilting with a full assortment of quilting prints, books, patterns and notions. We proudly host a customer quilt exhibit every April and most of our employees are avid quilters, making our store a great source of quilting knowledge. The lovely yarn, fashion fabric and home decor fabric departments complement the selection of merchandise available at our store. The small town ambiance is evident in our most cozy, country charm locale. All fiber artists and aficionados are welcome to come hang out with us and enjoy an evening of good conversation and stitchery! We meet the 2nd and 4th Fridays of every month from 5:00 - 7:30pm. Join our local chapter of Project Linus Blanketeers on the last Sunday of most months and help make a difference in the life of a child in need. For more information about our Sewing Days, contact the store at 360-479-4214. For more info about Project Linus, click here. 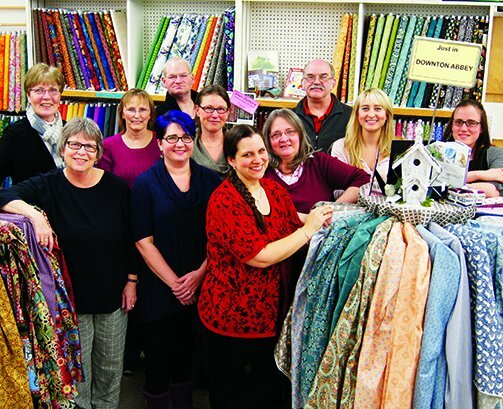 ASG is a national non-profit organization dedicated to people who believe sewing is a rewarding and creative activity and welcomes members of all skill levels. Meetings are held on the second Tuesday of the month from 10:00am-2:00pm. Please call the store at (360) 479-4214 for more details. A charitable group dedicated to providing quilt to wounded service men and women who have served in the Iraq and Afghanistan wars. They meet the first Tuesday of the month from 1:00-5:00pm at our store. For more information, visit www.americanheroquilts.com or call the store at (360) 479-4214. This non-profit group is part of the Northwest Regional Spinners Association and is open to all levels of fiber artists and hand spinners. Join us as we enjoy the gentle art of making our own yarn! Meets every other month at our store on the second Saturday from 1:00-4:00pm. Call the store at (360) 479-4214 for more information and exact dates. Join us to sew quilts for the Red Cross! We meet the first Friday of every month from 1:00-4:00pm. For more details, call the store at (360) 479-4214. Come join this group as they sew quilts for those in our local community! From graduating high school seniors in the Foster Care system to a nearby women's shelter and many other causes that come their way. Meets the third Wednesday of every month from 10:00am-2:00pm. Please call the store at (360) 479-4214 for more details. To help you stay a cut above the rest, we offer expert sharpening of scissors, knives and select garden tools while you wait. Pacific Sharpening is on hand the first Saturday of every month from 9am-12pm. We also offer a drop-off service for your convenience. Please call us at (360) 479-4214 for upcoming sharpening dates. Use our classroom for club or guild meetings, laying out that large quilt top or getting together with sewing friends to work on joint projects. As long as the store is open and there isn't a class scheduled, we'd love to have you! Call the store ahead of time to check the schedule and reserve space.